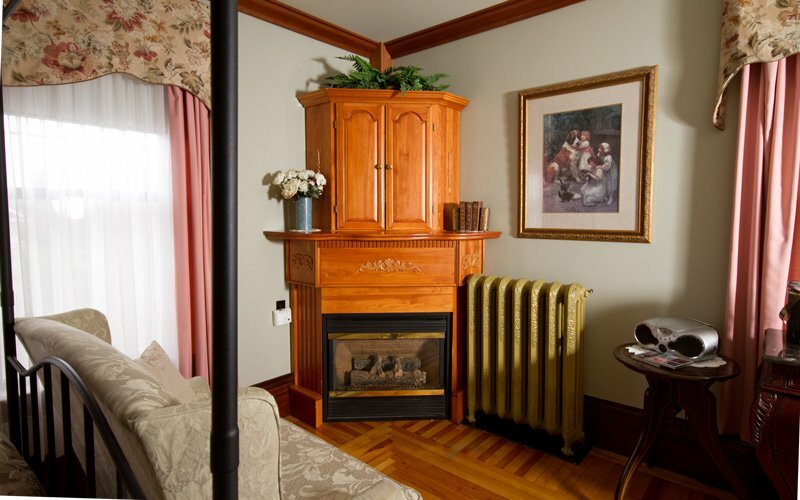 There are 9 well-appointed rooms, all of which feature ensuite four piece bath, digital cable TV, DVD players, telephone, plush bathrobes, hairdryers, air-conditioning, and free high-speed fibreOP internet. 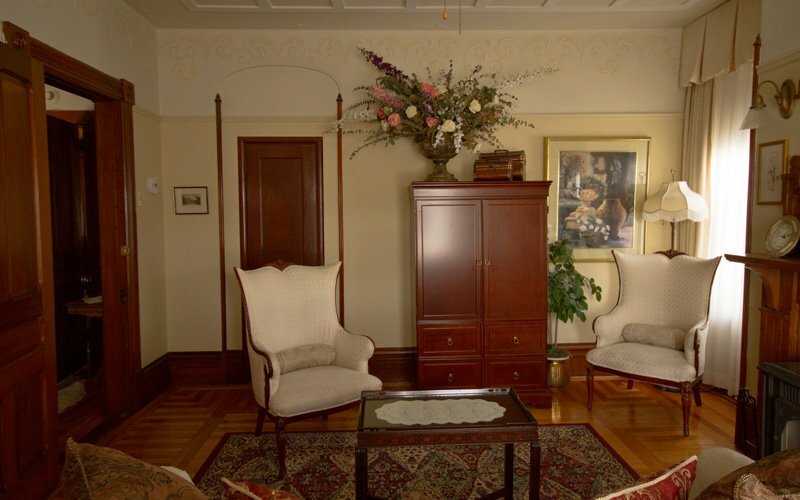 The Study Room is located on the main floor just off the breakfast room. 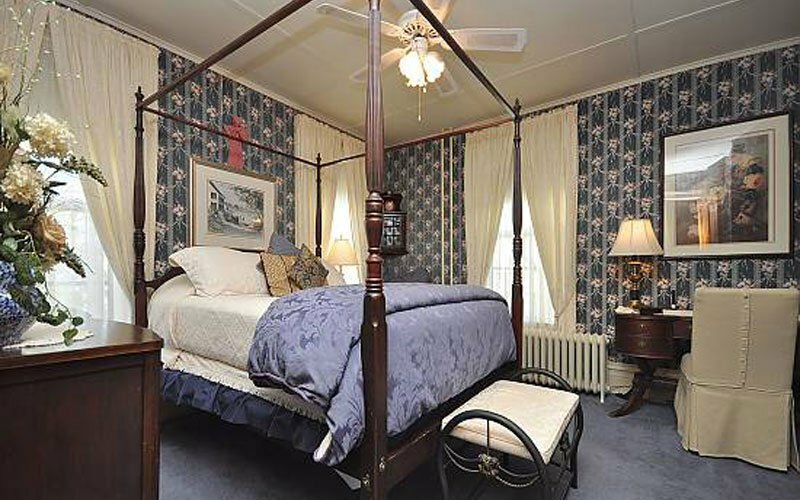 Tastefully decorated with a queen bed, full bath, private entrance and a large private covered porch. 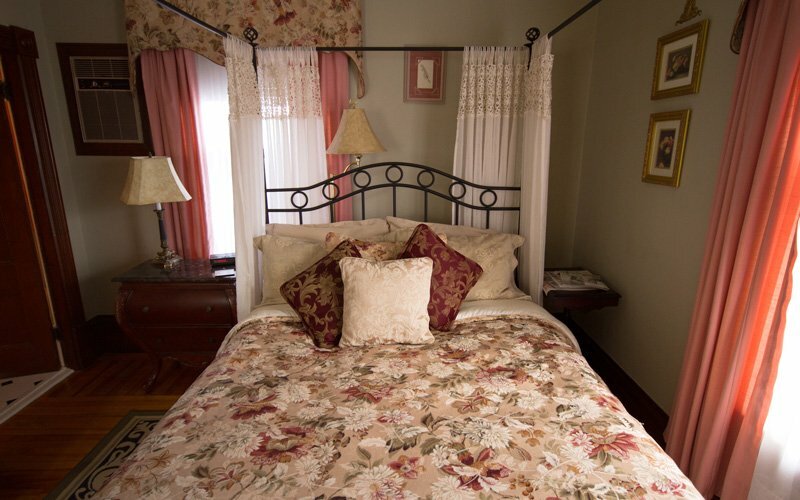 A special treat during the spring and summer months. 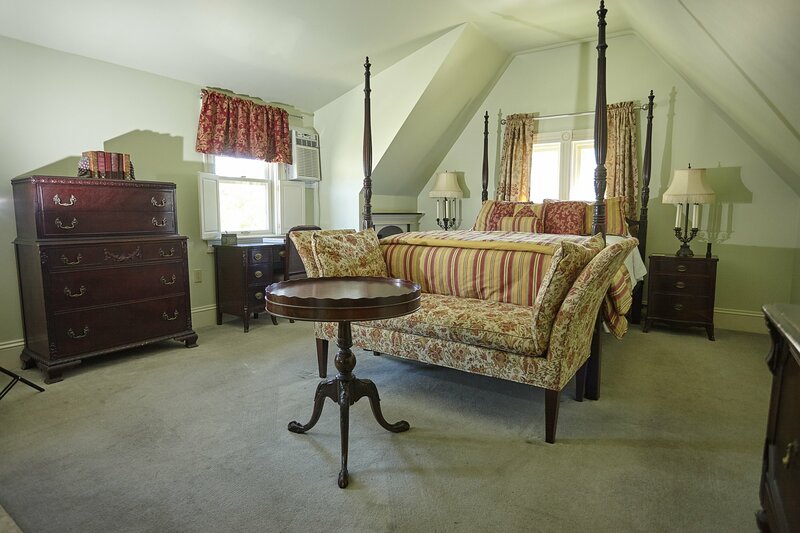 The Chase Suite is our most luxurious suite and is aptly named after the original owner of the house, William Henry Chase. 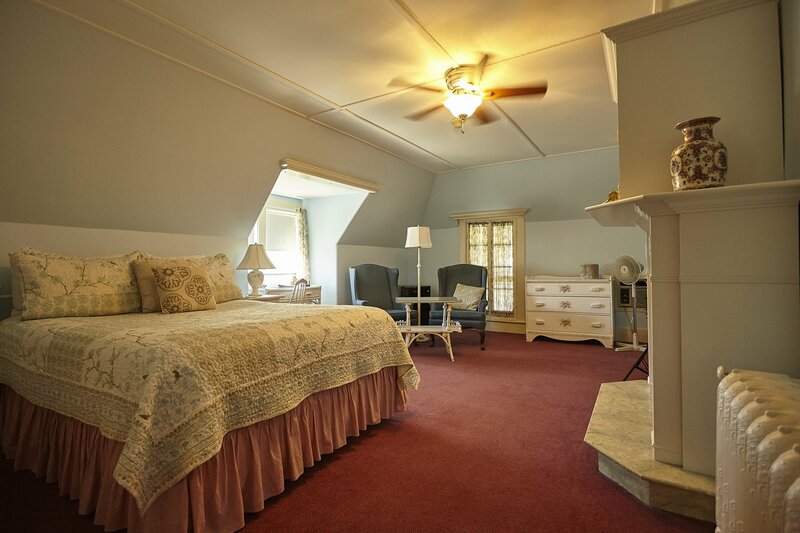 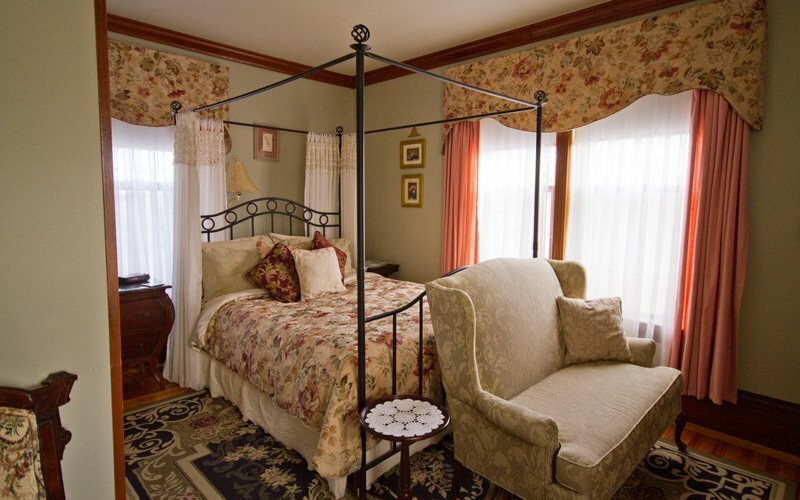 It features 3 rooms; the bedroom has a queen size bed and a large armoire original to the Chase family. 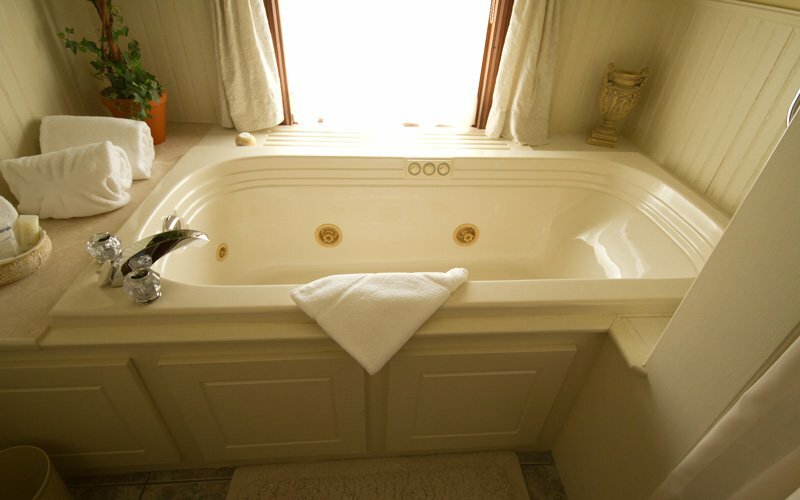 The bathroom has both a Jacuzzi bath and separate shower. 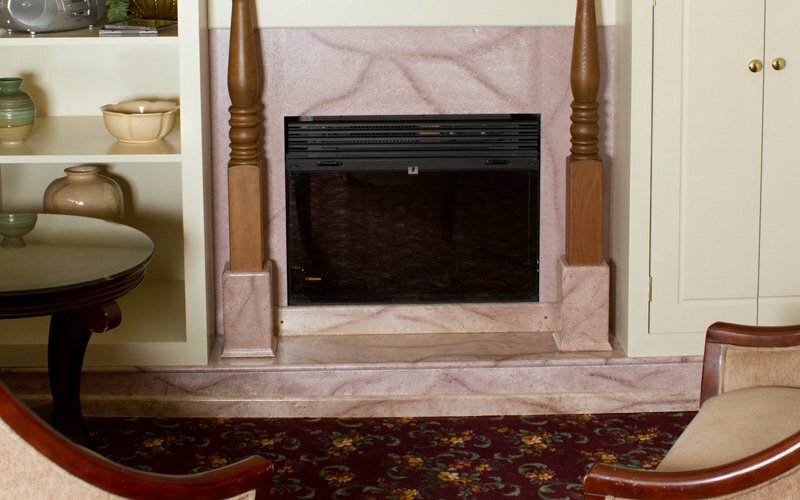 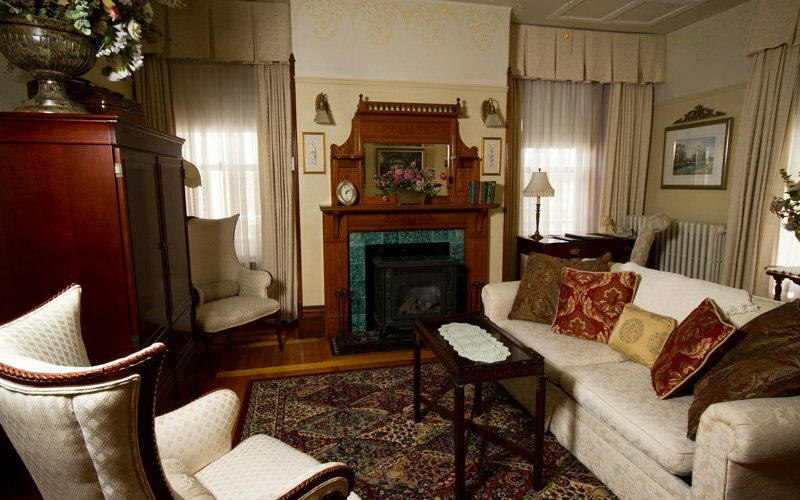 The large sitting room features a propane fireplace and is decorated in antiques with Victorian styled trimmings. 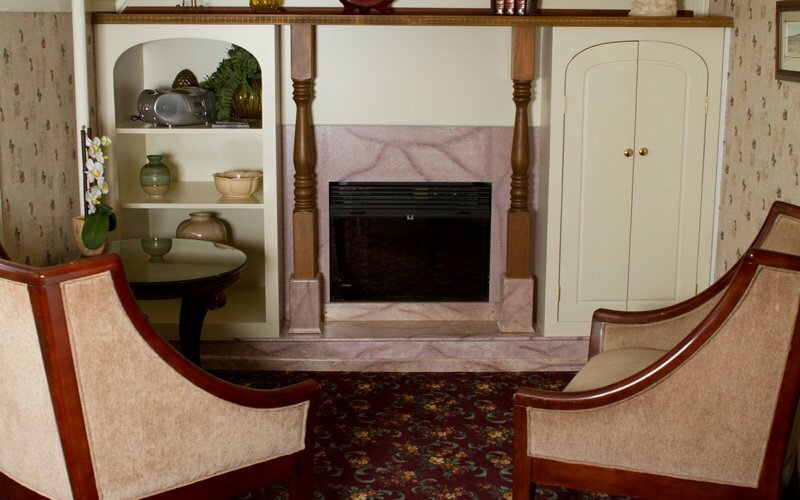 The Webster Room is located on the second floor of the main inn. 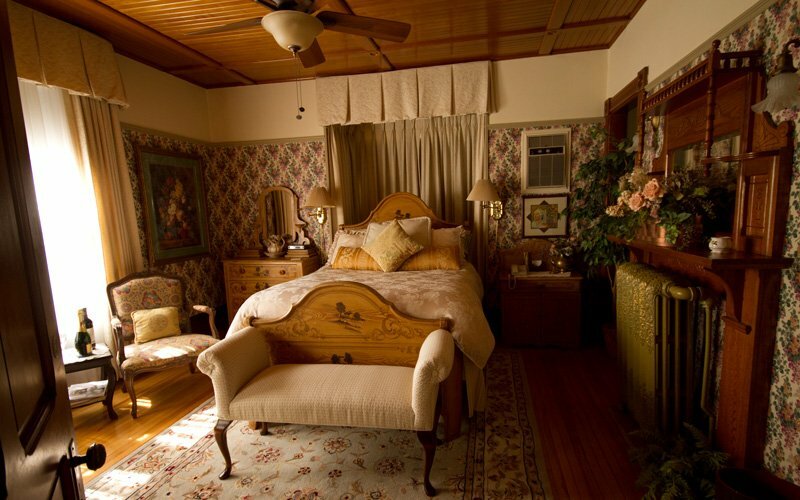 Decorated in relaxing yellows, plums and antiques with a queen bed with full bath. 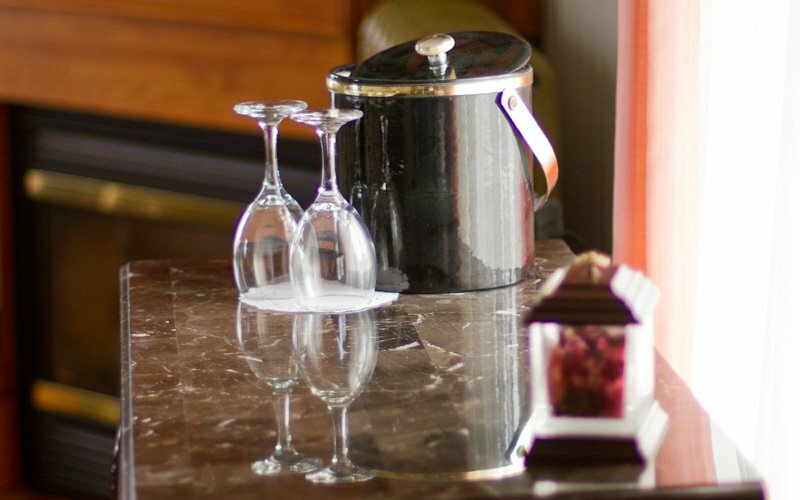 It's large desk is perfect for the business traveler. 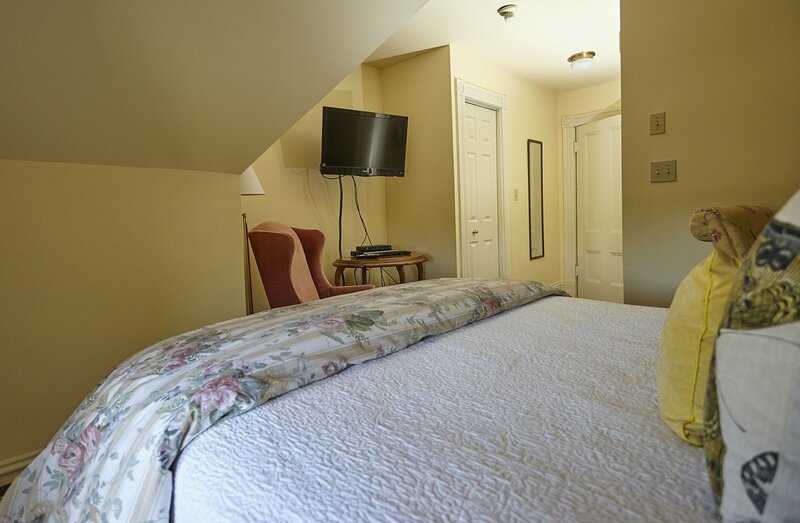 Lalia's Room also located on the second floor, features a long private hallway leading into this bright,airy room. 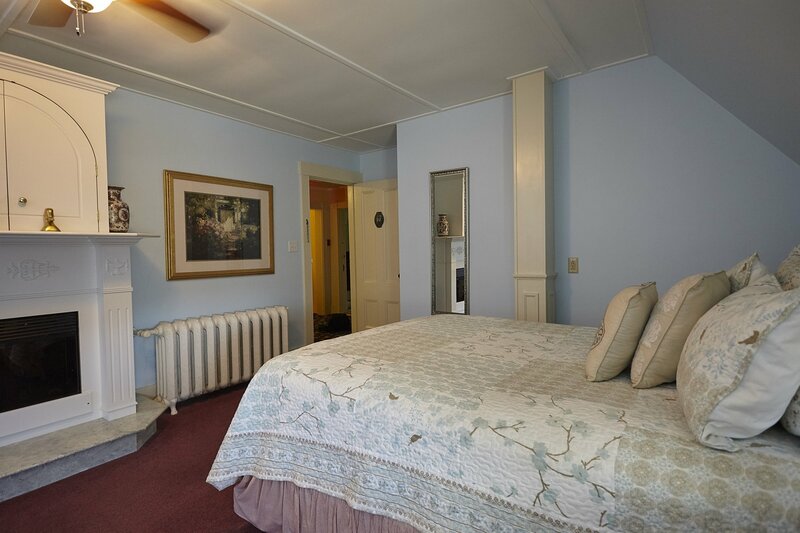 With a queen bed and Jacuzzi bath, it's a great blend of old and new with the original hardwood floor and modern amenities. 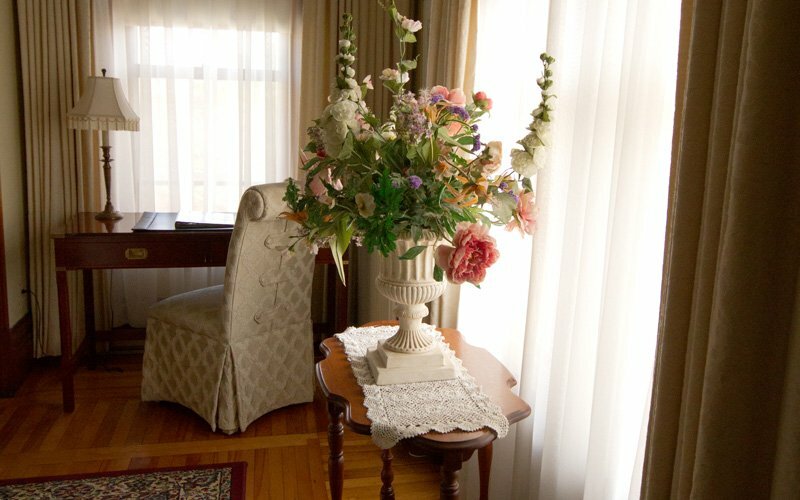 The West Room, the last of those on the second floor, is a large bright room. 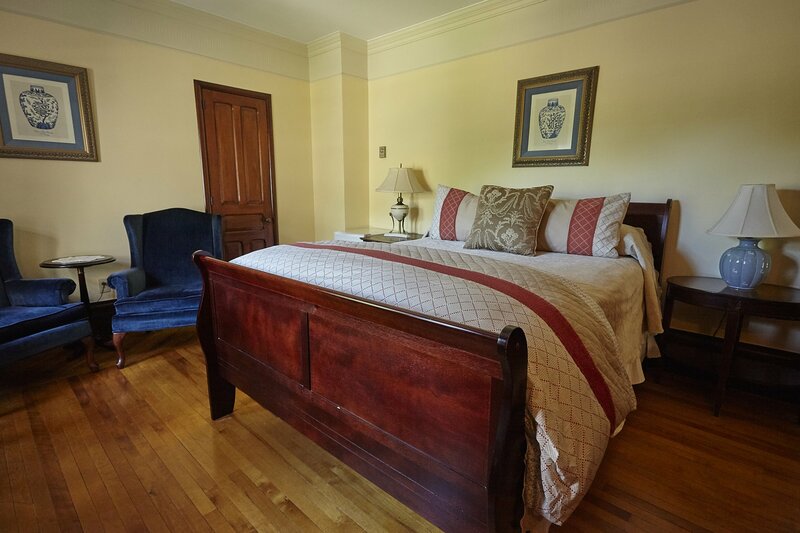 Decorated in deep blues with antique furnishings, you will find a queen mahogany four poster bed with full bath and oval Jacuzzi. 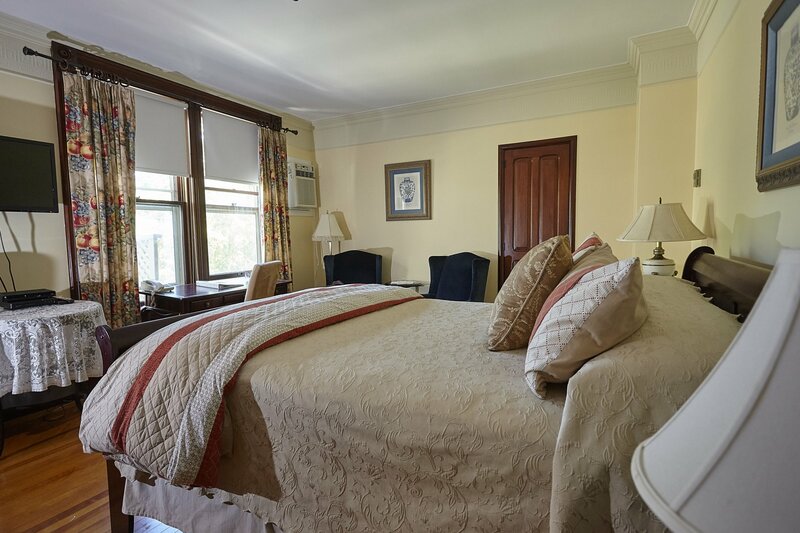 The Alcove Room features a queen bed, electric fireplace, with full bath and oval soaker tub. 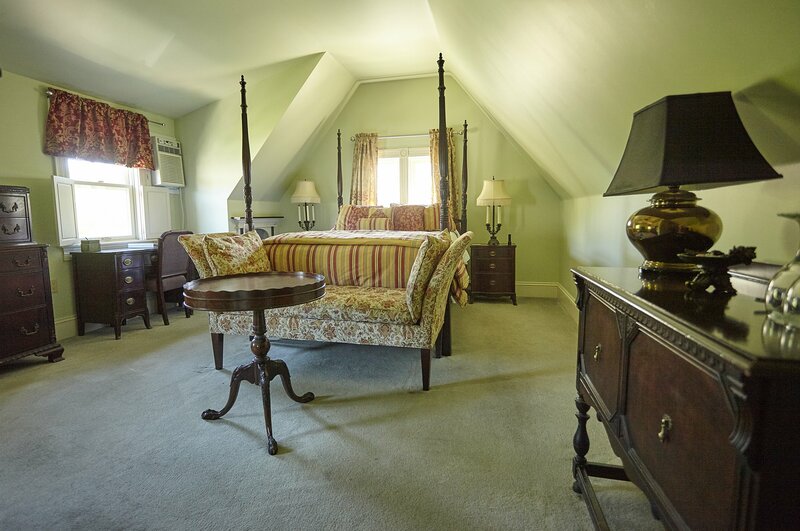 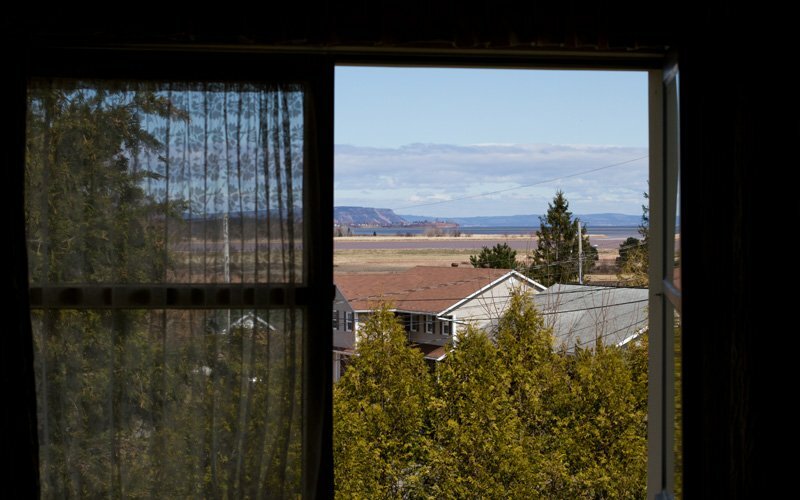 One of the two rooms in the inn with a wonderful view of Cape Blomidon. 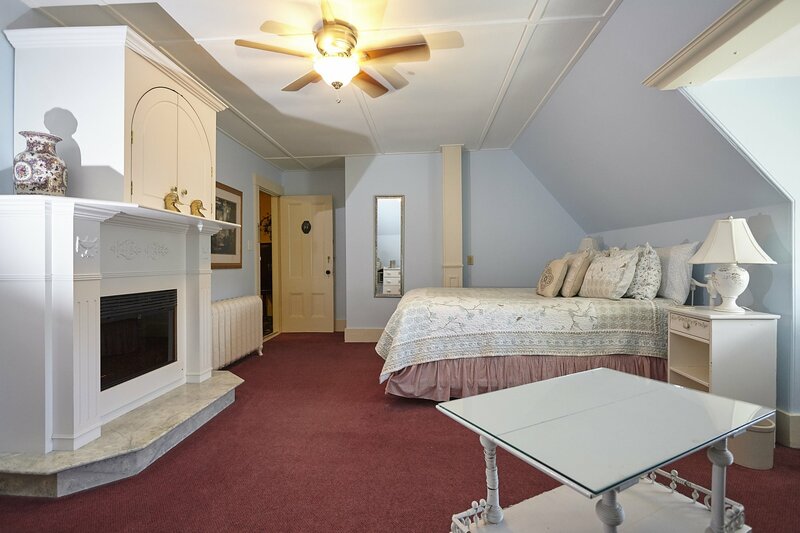 Enjoy this spacious room with wicker accents. 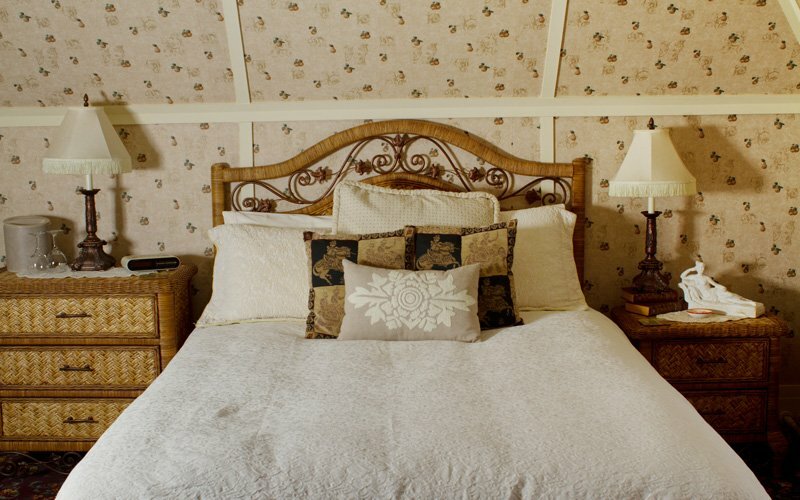 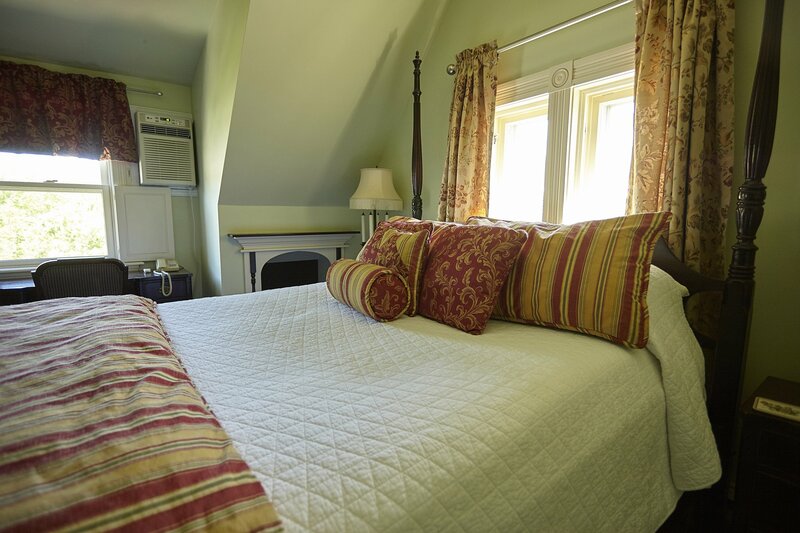 The Cottage Room features a queen bed, electric fireplace and double Jacuzzi bath. 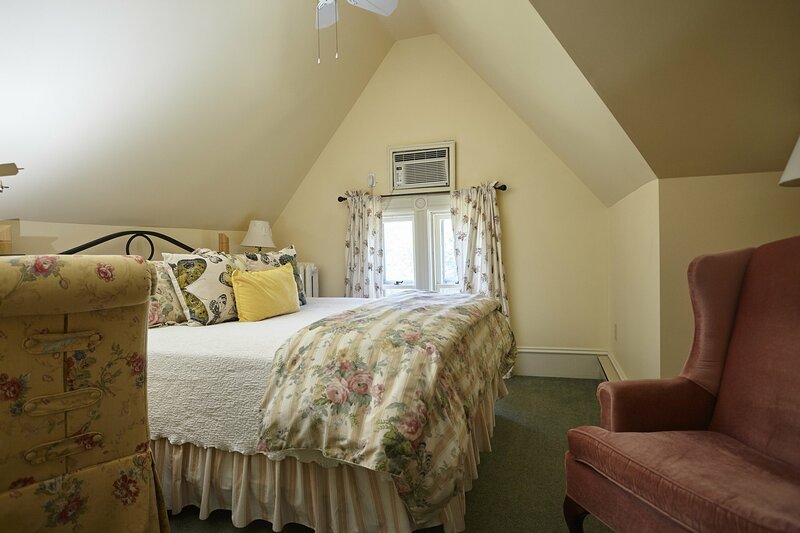 Treat yourself to a glass of wine on your small, private balcony in the evening. 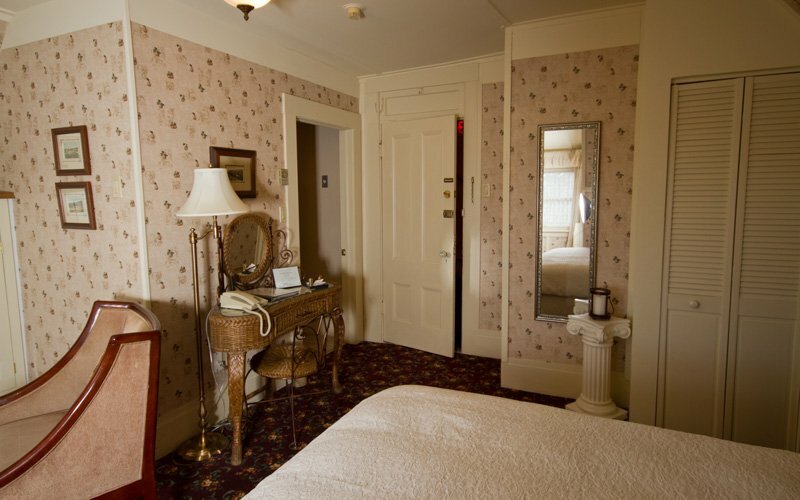 The Butler's Room is a quaint room located on the third floor. 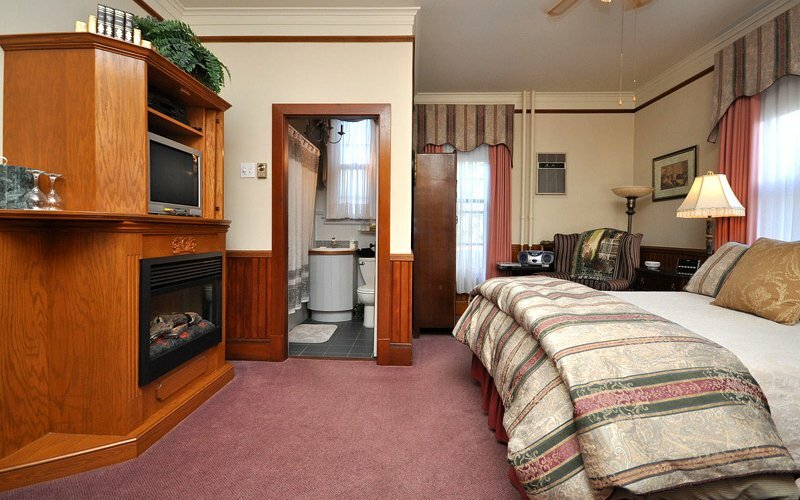 It features a queen bed and full bath. 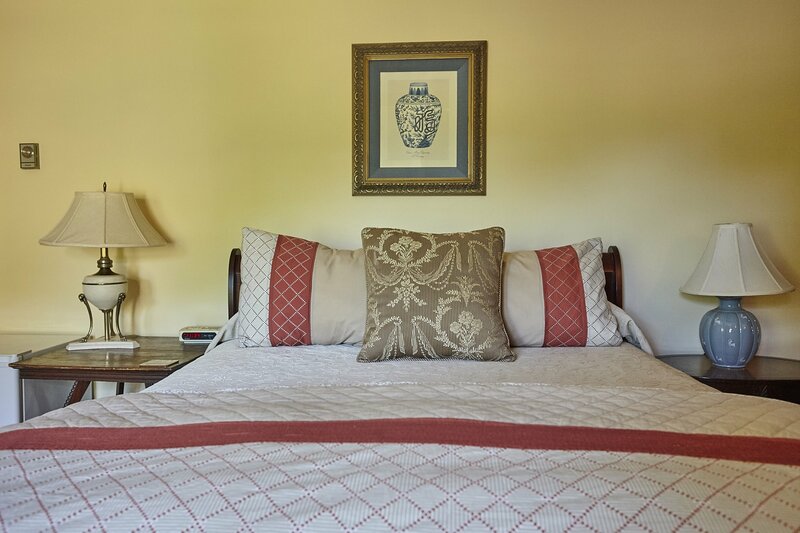 It is tastefully decorated and a perfect room for a short term stay. 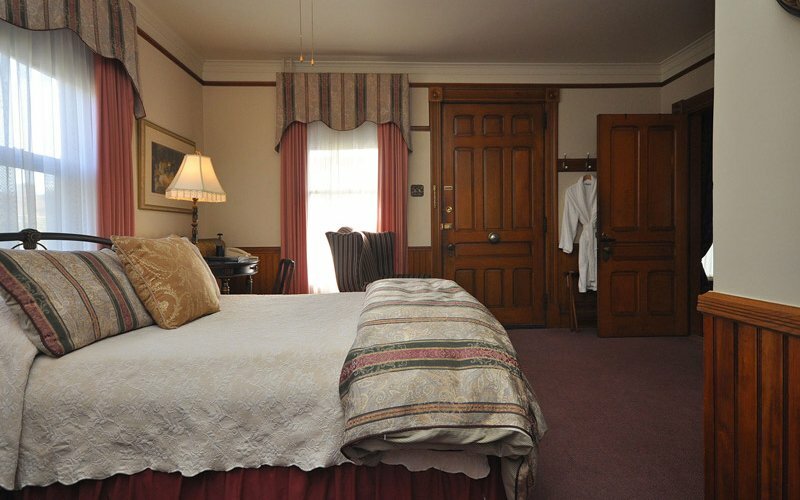 The Executive Hideaway features a queen sized bed, propane fireplace and double Jacuzzi bath and is one of the two rooms on the third floor that features a view of Cape Blomidon. 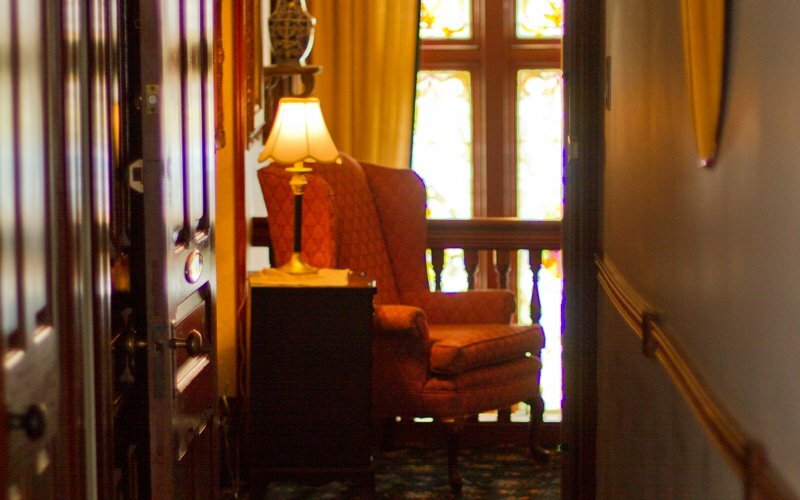 A real treasure not to be missed. 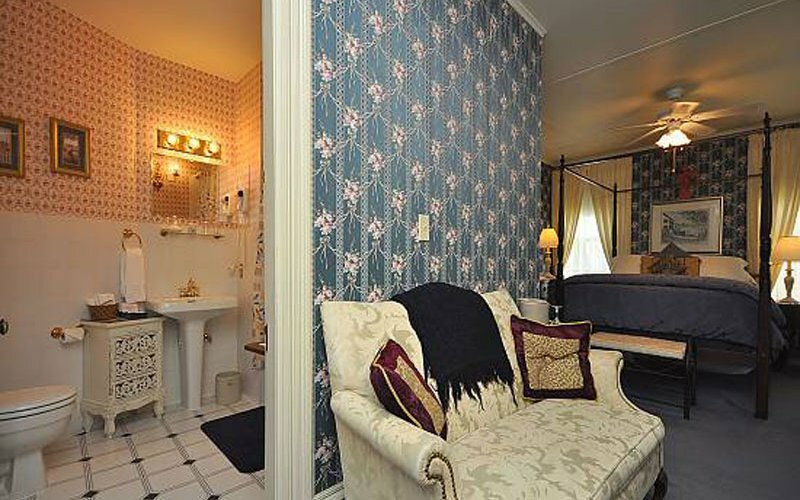 Our most sought after room.